Back in early 2007, I conducted a quick interview with Lynn Curlee. Lynn is the artist behind one of the more famous pieces of art in Black Sabbath lore. 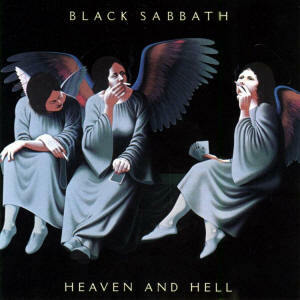 That being “Smoking Angels”, that is the cover of the 1980 album, “Heaven & Hell”. It was also used extensively for the 2007 tour behind “The Dio Years”. I managed to track Lynn down through his website (that you can reach here). 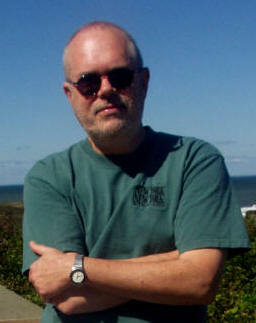 His website also has information about his more recent projects, those being children’s books. While his Black Sabbath used artwork was a major hit for the band, he only did one other bit of cover art. That was for the 1976 album by Blue Oyster Cult, “Agents of Fortune“. Yep I did the HEAVEN AND HELL cover painting. 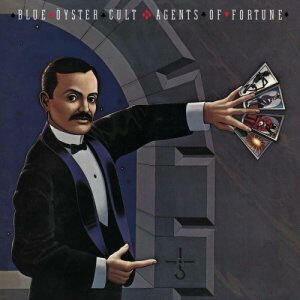 I had done AGENTS OF FORTUNE, specifically for BLUE OYSTER CULT in 1976. The band had seen a show of my paintings in NYC where I lived at the time, and they commissioned the magician holding tarot cards (the image was my idea) for their cover. Then a few years later, I had moved to L.A. and I got a call from the management of BLACK SABBATH. As I recall, the two bands had the same management or agent or something. They had a new album and the cover art wasn’t working out so they were in a jam. So they asked if I had something suitable. I had already painted the SMOKING ANGELS as a gallery painting. and they chose it for their cover. You may be interested to know that in the original painting the angel on the right side had a complete wing that was cropped to fit the album cover. Both paintings are long gone, I think they were purchased directly from me by band members, although it was a long long time ago and I don’t have good financial records from those days. Someone else might have bought either painting. In any event, I haven’t had either one of them for many years. Those were the only two album covers I ever did. I never was really a commercial artist – instead I showed in galleries. I occasionally get emails from people asking about prints or posters from the album covers, but I have never reproduced either one of them in any form. The copyright was actually held by the record company in those days. Today my main event is writing and illustrating books for kids. 1) When was the Smoking Angels painting actually done? 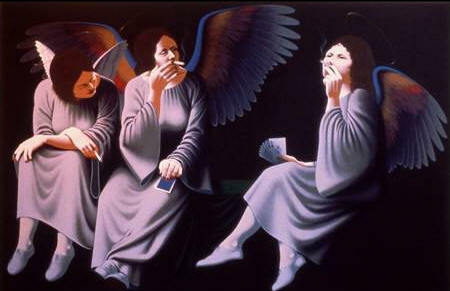 SMOKING ANGELS was painted in 1979. I had just moved from NYC to LA, and i did a series of paintings called MASQUE. This was one of them. Before the painting was a cover, the entire series was exhibited at the DUNAWAY O’NEILL GALLERY in Santa Monica. the gallery was owned by actress Faye Dunaway and Terry O’Neill, a famous photographer. I think they were married at the time. 2) What was the inspiration for Smoking Angels? Since this artwork wasn’t commissioned specifically for the album, what made you paint that subject in the first place? MASQUE was a series of paintings with people in costumes. 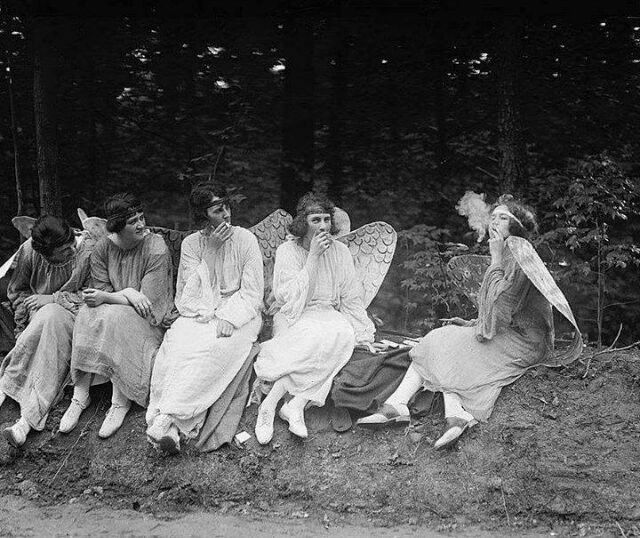 the SMOKING ANGELS was specifically inspired by a photo of some people backstage at a small town christmas pageant. The painting was cropped a little on the right for the album cover. You can see the full painting in the ARCHIVE segment of www.curleeart.com. 3) Any particular reason you did not stick with album covers after this and the Blue Oyster Cult one? I did no more album covers simply because no one asked me to. I was not really a commercial artist, but showed in galleries. I didn’t have a commercial agent, and never aggressively looked for that kind of work. the 2 album covers just fell into my lap. If I had been approached to do more, of course I would have, but I was always busy with exhibiting my other work. 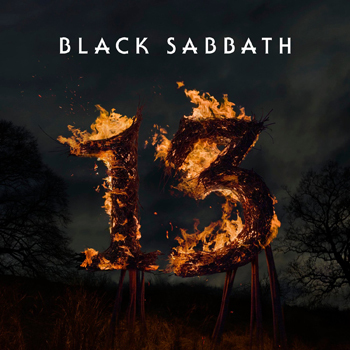 4) Were you a Sabbath fan before or after this cover? Did you ever get to meet the band proper, or was this all through agents, and business people? I was of course aware of Sabbath, liked some of the music, but was never a particular fan. (sorry). I listened more to hard rock like the Stones, and since I was a southern boy I also loved R&B and Soul. By the early 80s I was into the LA New Wave thing. My favorite rocker of all time is Neil Young. I never met anyone from BLACK SABBATH at all. When I did the BOC cover, the entire band came to my studio after they had seen my work in a gallery. That was before they asked me to paint a cover. But the Sabbath cover business was all done over the phone. I honestly don’t remember who I talked to. 5) Are there any other Sabbath covers that you liked other than your own? SABBATH BLOODY SABBATH – I always loved the old Haight-Ashbury psychedelic rock and roll posters. this always reminded me of that style. BORN AGAIN – I love the red monster. I think of it as a freaky fetus. I apologize to Mr. Curlee for taking to long to get this out. Things happened, and unfortunately, this got buried under a massive “to do” list. I did see it from time to time, but never had the time to devote to making sure I covered it the way I wanted to, I didn’t want to just slap up his emails and be done. Sorry Lynn. The rest of you should check out http://www.curleeart.com for an archive of his old paintings, and information on his other ventures. I’ve taken the liberty of throwing together some of his books in an applet you can view here. 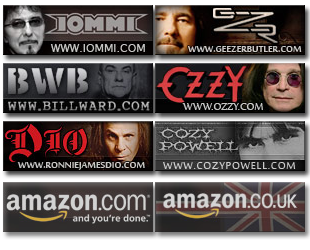 You can order any of them through Amazon.com as well. Give ’em a look! UPDATE: This photo below is the original image that Mr. Curlee used as inspiration for his painting.